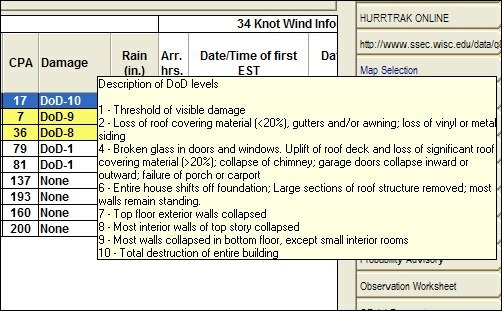 Previously, the "Damage" column on the location impact report contained a damage description based on the Saffir-Simpson scale. While certainly a good measure of storm strength, we have found that the Saffir-Simpson scale is not necessarily tailored for damage at individual locations. With that in mind, our new feature now allows the user to choose an alternative scale which is based on observed damage in real situations. This scale is based on work done by the scientists at Texas Tech University. Please be aware that The Saffir-Simpson damage scale is not being removed from the system, and those who need to continue using it will be able to do so. Some further explanation via a video demo and screen images are shown below. 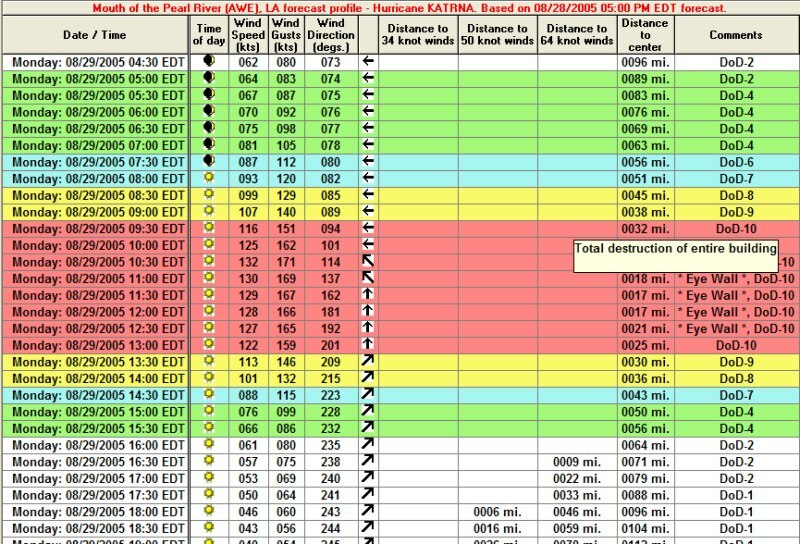 On a location impact summary report the new scale will appear as DoD (degree of damage) comments with a description of the scale available by pointing at the descriptor. The damage comments also appear on the detailed "hourly" report. 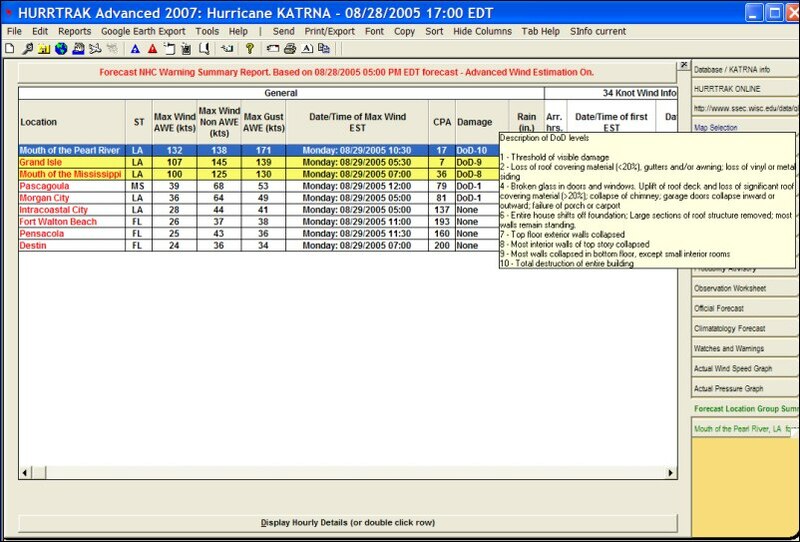 The 2 reports below shows the wind estimates at some South Florida locations using the Saffir-Simpson scale and the new DoD scale. We believe the DoD scale will be more useful when analyzing impact to a location as it provides a more detailed and accurate description of damage.